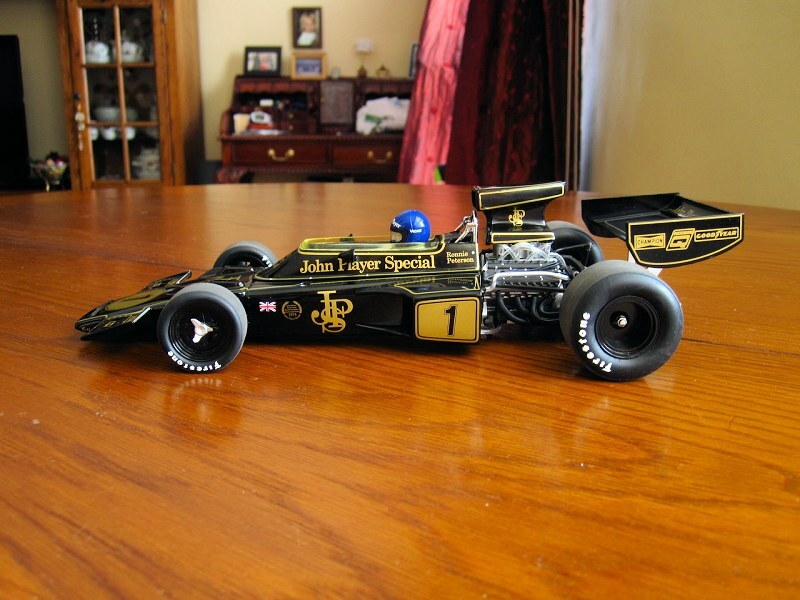 *NOTE* – Most of the shortcomings in this review, such as the lack of Ford badges on the Cosworth DFV engine, tires (Goodyear instead of Firestone), and the JPS logo on the nose, have been fixed on the final model. Please see the Quartzo News section for details. 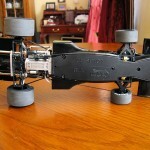 This is our first Quartzo review, and for many of you, it will be the first time seeing a Quartzo model. 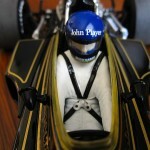 They’re one of Sun Star’s sister companies, and focus on Formula 1 models. 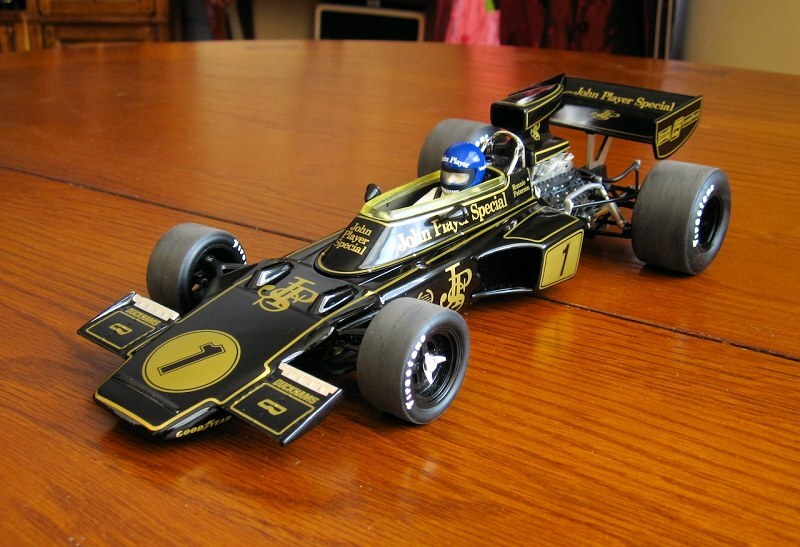 Today we’ll be reviewing their latest effort, the Lotus 72D, as raced by Ronnie Peterson in the 1974 season. Before I go any further, please note that this particular piece you see here is a prototype. There are some details that may still be finalized. 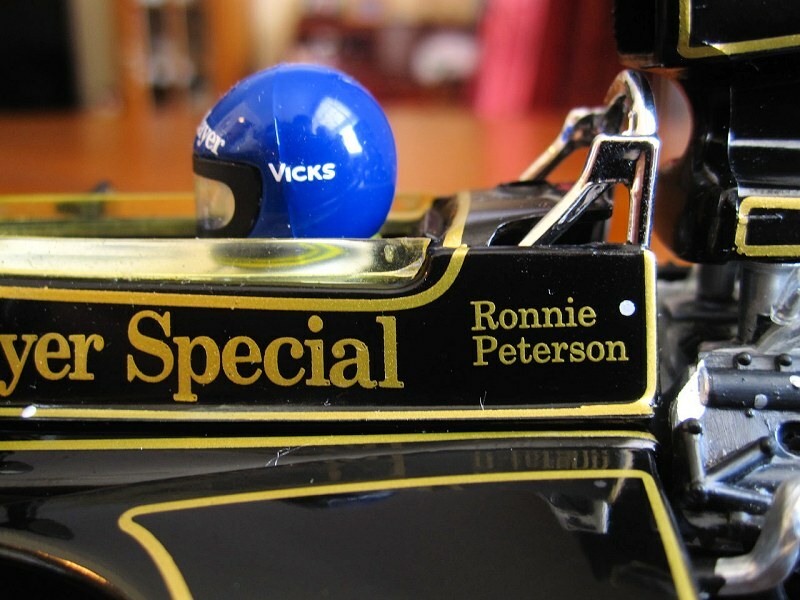 For example, the Cosworth DFV unit is missing the “Ford” print on the cam covers, and the JPS logo on the front of the car is also missing, although Ronnie’s car, as it sits in a museum today, does not have that logo either. 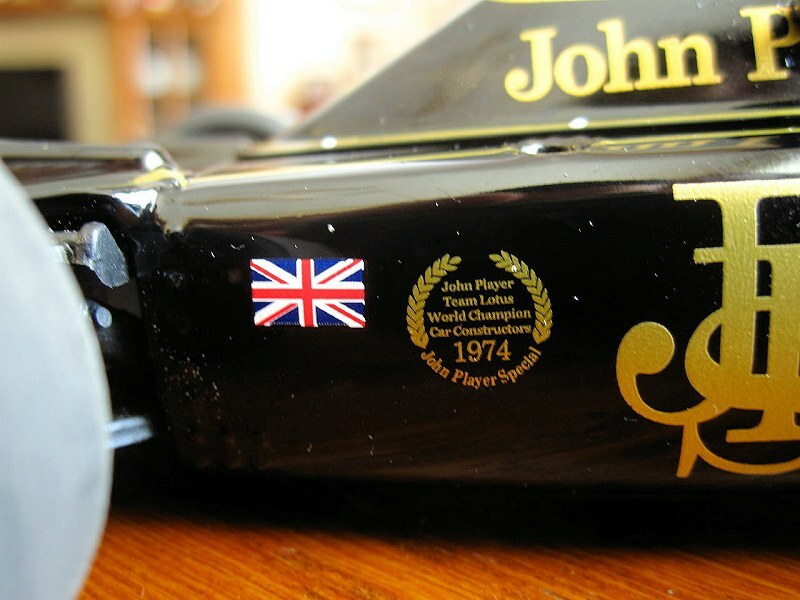 Speaking of logos, isn’t the John Player Special livery just gorgeous? 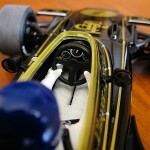 I’d say this is the only 1:18 alternative to the pricey and hard to find Exoto version, and it is much cheaper, too. However, I am happy to report that it doesn’t look any worse. 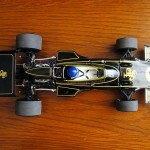 The shape is spot on, and the livery is tampo printed. No decals here! 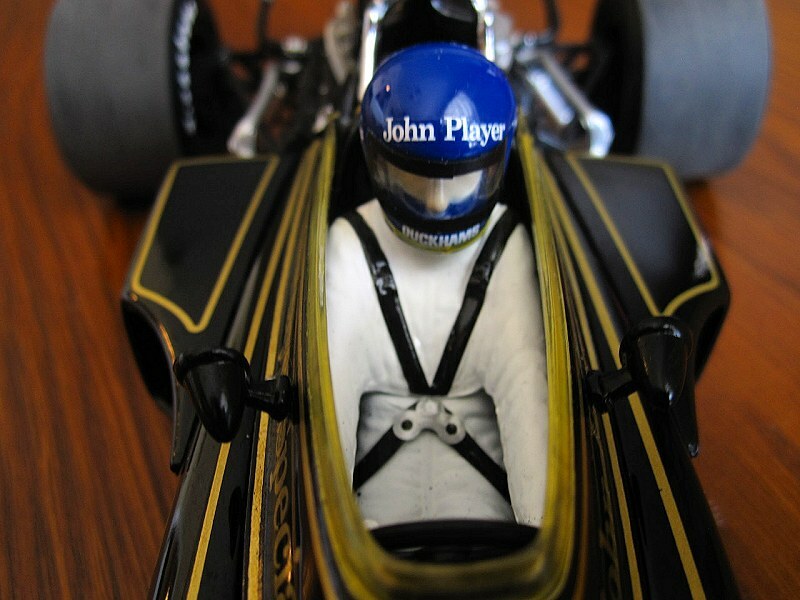 It comes with a driver figurine, too, which does look rather basic, I admit, but that’s what Ronnie looked like in 1974, according to some of the images I consulted, though his helmet does look like it’s missing some detail. There are obviously no photo-etched parts, but that’s fine. 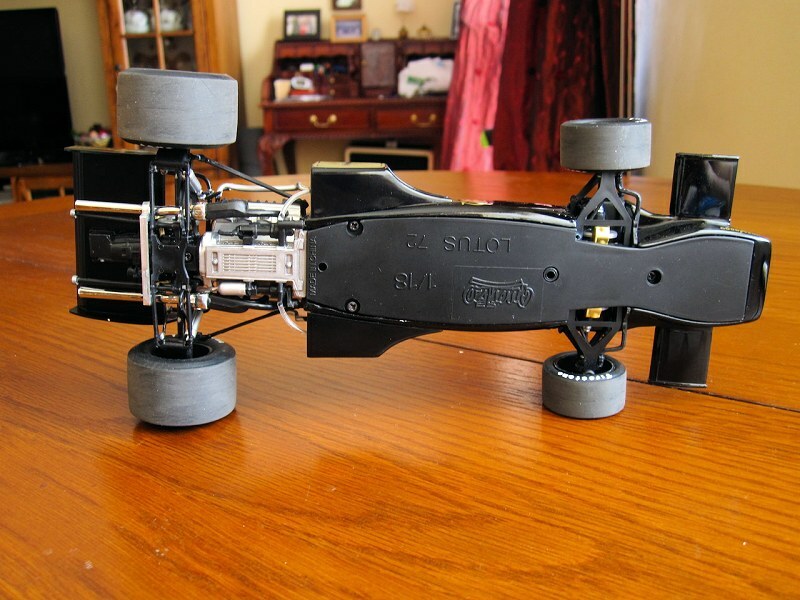 By the way, those tires do not look like that out of the box. They are smooth and have a mould line running down the middle, which I found to be quite unattractive. So I grabbed some sand paper and gave them a more realistic look. If you’d like to do this for your model too, it is quite easy. It takes a bit of time to get that uniform look, but as long as you scrub in the same direction and ensure that the wear looks even, the result will look great in the end. The model is so tiny that there isn’t much to talk about, really. 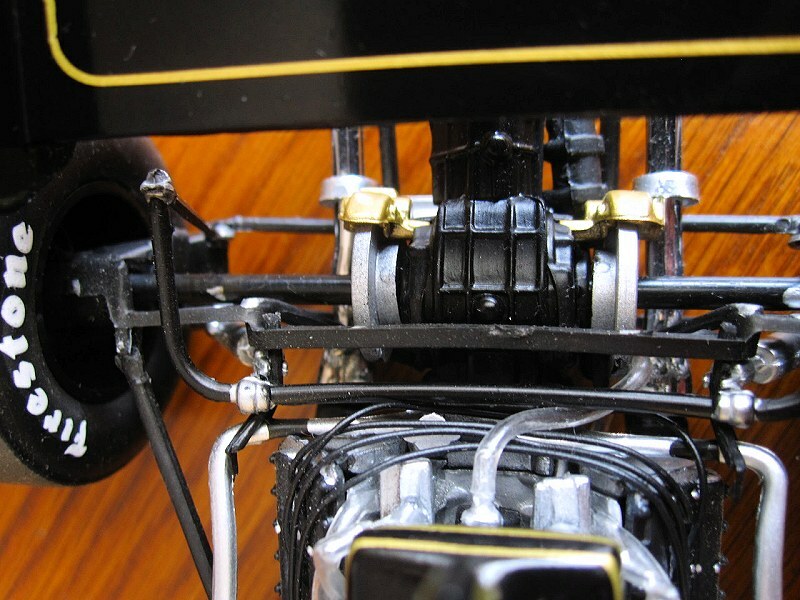 The body appears to be made of diecast metal, while the various aerodynamic addenda are all plastic. 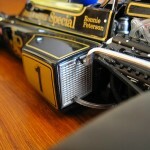 The cylinder trumpets look good enough, although they are mostly concealed by that giant airbox. 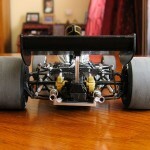 I’m not sure if I’d consider the suspension functional, but it does flex a little at the front. It’s good to see those inboard discs present and correct at the front when peeking through the vents. 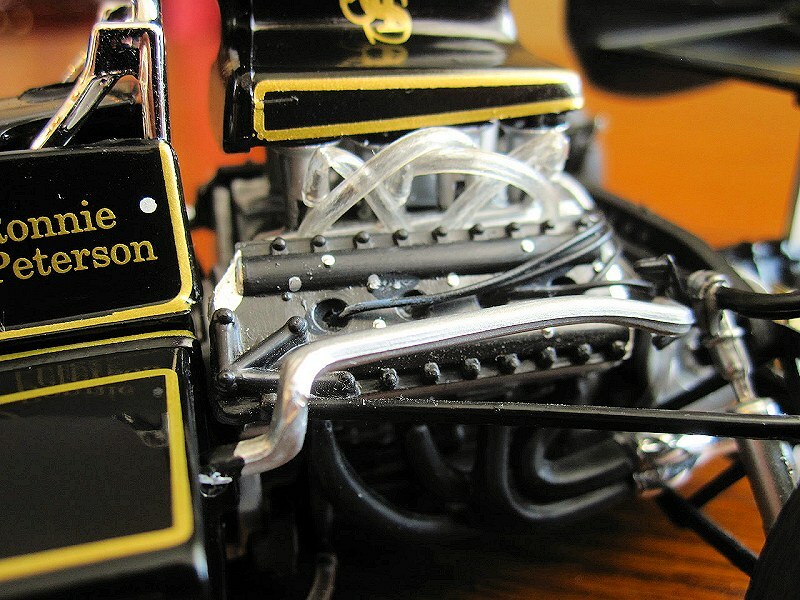 The engine sports some clear hoses, which adds a nice touch, and everything else seems to be reasonably, but faithfully, reproduced. All in all, it’s a good enough model that displays very well. Sure, it doesn’t have fabric seatbelts and photo-etched buckles, and the instrument cluster is just a decal, but it costs so much less than the Exoto alternative. The only decals I spotted seem to be the two British flags on the front flanks, denoting the driver’s country of origin. I highly recommend this piece, but I would not recommend paying more than the MSRP for it. 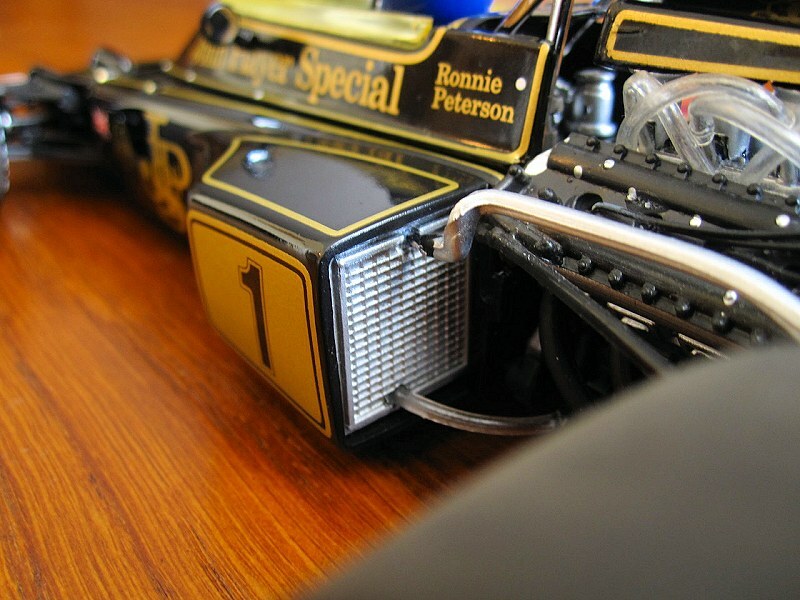 10 Responses to "REVIEW: Quartzo Lotus 72, #1, Ronnie Peterson"
Wes another good review! I’m impressed with this model, for some reason I gravitate to it. 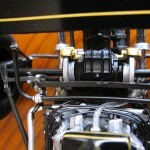 Though the detail isn’t at Exoto level it surely shows well as your photos definitely show. Nice job on modifying the wheels. Body wise, if you put it next to an Exoto, you’ll likely see no difference. Usually low budget models are off in terms of shape. This one looks solid. The only problem is the abundance of plastic, but for ~$65 USD, what’s there to complain about! 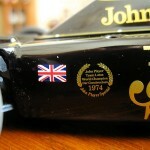 Surprised that the review is so positive – The Tyres were Goodyear in 1974 not firestone! On the final model they are Goodyears. Like I said, this was just a prototype to get a rough idea of the detail. He’s the final retailer piece, as Wes pointed out, badged as Goodyear. 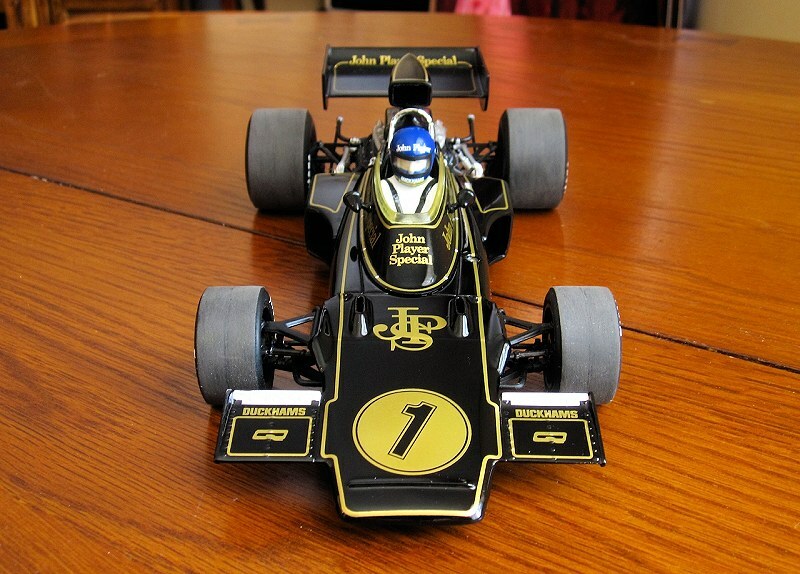 Great model, but it does come with Firestone tyres, not Goodyear, even though the decals are right on the rear wing…..
¿Are you sure that the finally model have the correct decals of the tyres and others? I see a lot of model in webstores and have the same mistakes. I recently purchased this model. 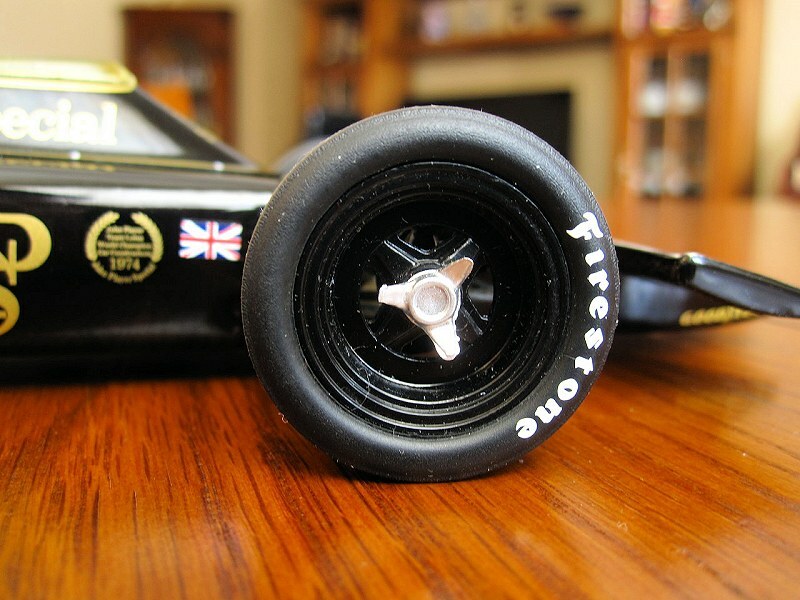 I can confirm that the Firestone wheels are still present, on both the model and box pictures. 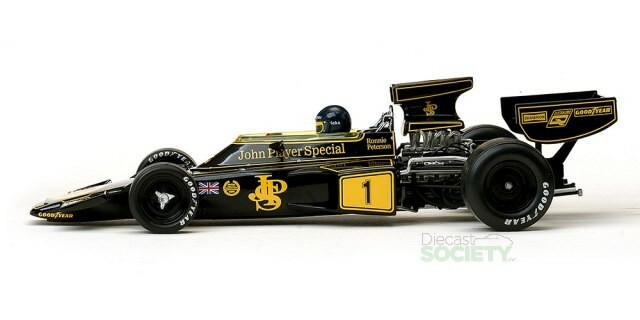 Looks like the JPS livery is in gold? By 1974 it was more of a yellow/biscuit colour , Ronnies overalls should be blue and the World Champion logo on the side should read 1973. 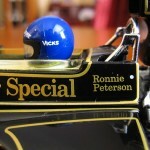 Oh and the Union Jack was because Lotus were British , Ronnie was from Sweden. 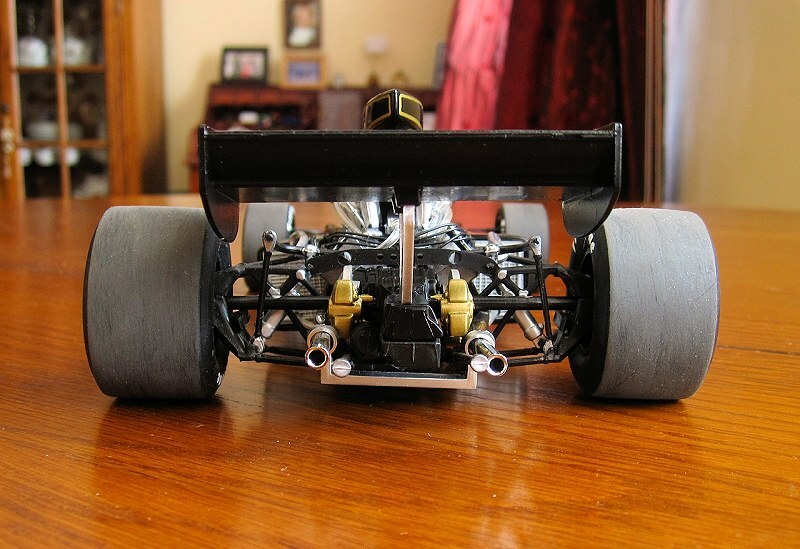 I bought one of these Quartzo Lotus models off ebay and yes the tires were incorrectly marked as Firestone. 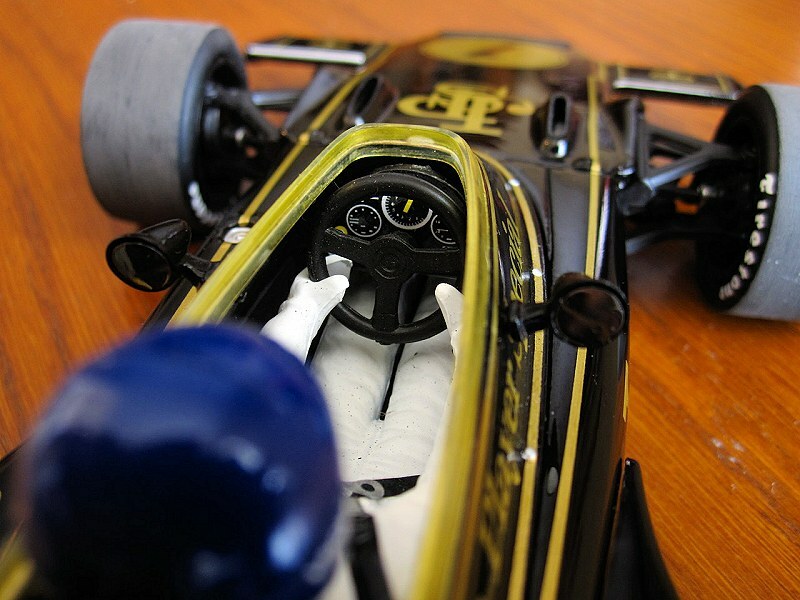 The whole model was quite a disappointment to be honest and I boxed it back up after an hour and re-sold it on ebay. 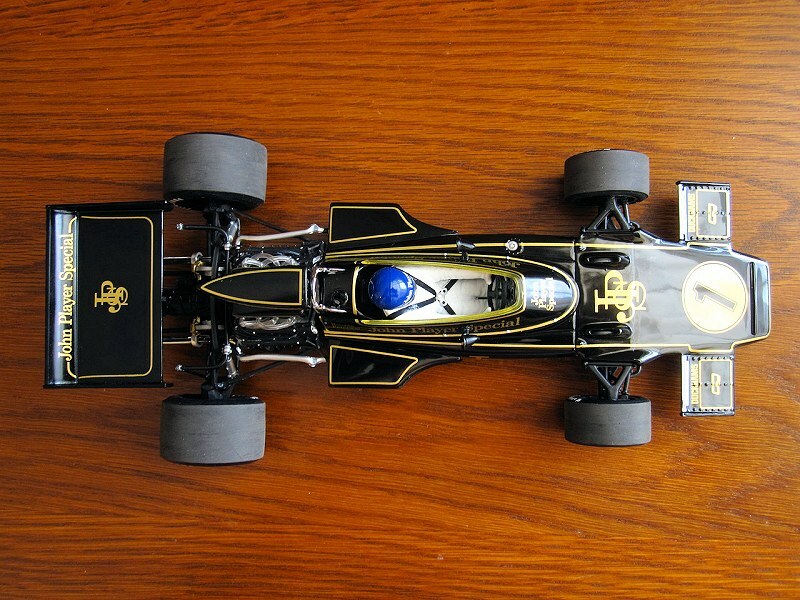 I now have the AUTOart Lotus 72E models which although aren’t perfect either but a orders of magnitude better than the Quartzo models.. well for more than double the price you’d expect that eh! 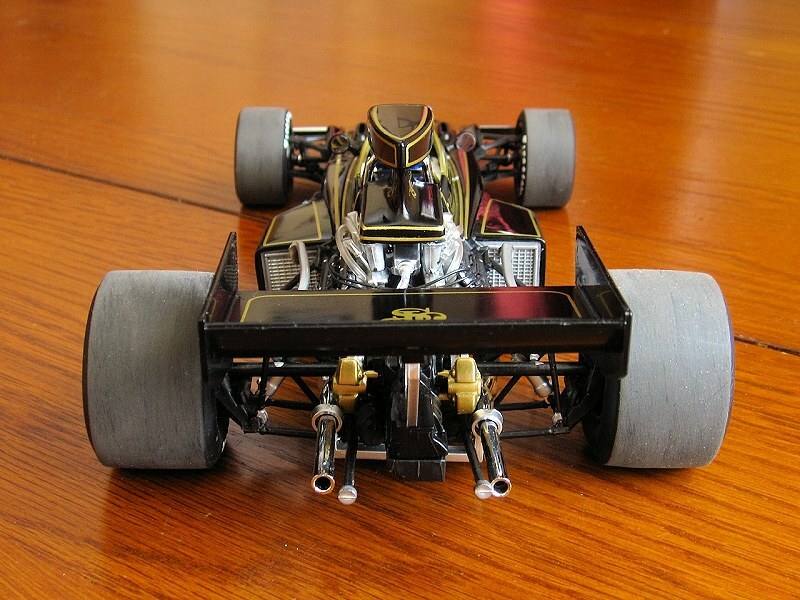 One thing I did like about the Quartzo models were they came with the Tobacco sponsors where the AA models I had to buy crappy water slides..